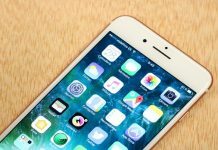 Schedule an Email in Gmail for free 2017: Gmail is one of the tools most popular email how well it works and all the things you can do . However, there is something very practical that in principle the mail service Google do not offer: the option to schedule Emails to be sent later at a specified time. 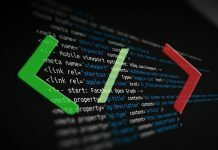 Fortunately, many developers have realized this problem and there are many ways to solve it . 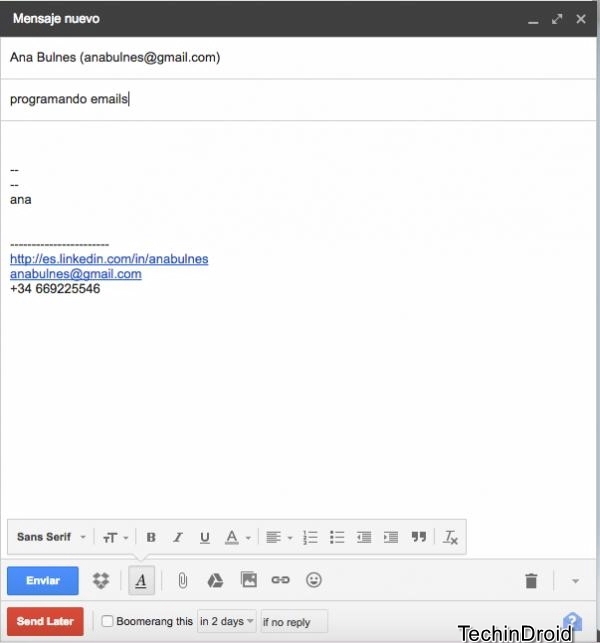 In this article we tell you how to schedule emails in Gmail. Natively have no way to schedule emails in GMail , but thanks to the “magic” of third – party developers. We can add this feature in such a simple way to install an extension in Chrome (so that’s the requirement is Google Chrome). 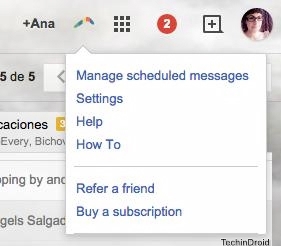 4 ways to Schedule Email in Gmail. 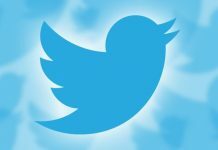 Best free Email Services 2017. How to Forward Multiple emails in Gmail at Once. To schedule emails in Gmail and that these are sent when you want, you ‘ll need to install an extension in your mail service. One of the most used and practices is Boomerang, which is also free. 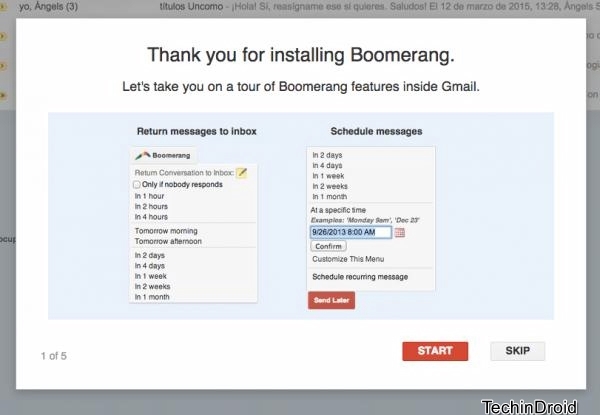 Step: 1 To install it , Go to http://www.boomeranggmail.com/ , its official website. Step: 2 Click the big button that says “ Add this to your Gmail ! “. A small dialog in which will explain what permissions will have the extension if you add will open. 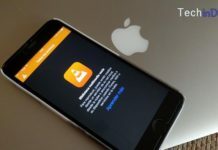 In this case, you can read and modify your data, manage your extensions, apps and themes. All this is normal, so click on the “Add” or Install button to confirm. Step: 3 After accepting the installation, you’ll first notice indicating you that the extension has been added. 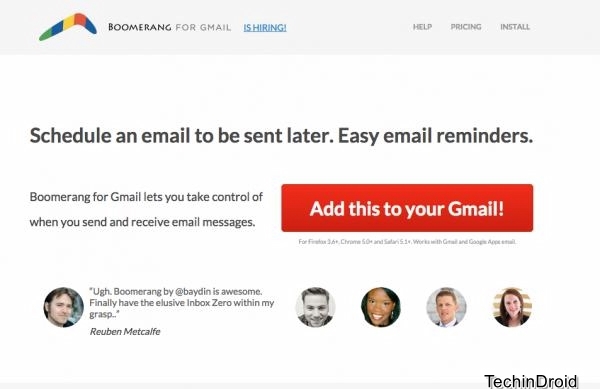 Gmail will then be loaded into your browser and in the center you will see a window that will take you step by step through the operation of Boomerang . Click on the “start” button to see the small tutorial or Skip it. If you think you will come with our explanation. 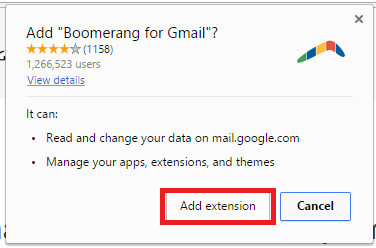 Step: 4 Once you have the extension installed in Gmail. compose E-mail whose sending want to schedule. Step: 5 You will see that in the bottom of the window compose messages appeared a new toolbar. It is the Boomerang. Click on the red button where it says “Send later” to set the email. 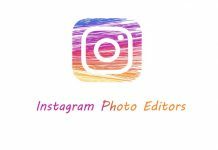 Step: 6 Clicking on the button ” Send Later “. A drop down menu where you’ll see many shipping options will open: submit within 1, 2 or 4 hours in the morning or afternoon, several days, weeks or a month or finally, tell you exactly when you want the shipment is made. It will schedule email in gmail with delay send. 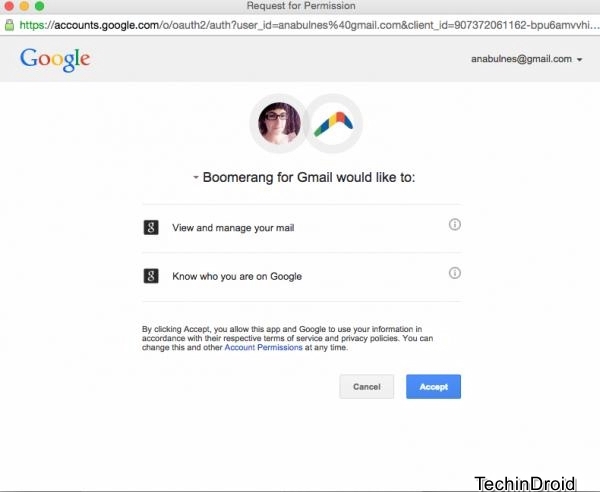 Step: 7 A popup window which Google asks you to give permission to open Boomerang view and manage your email, and know who you are on Google: for two things. Click “OK” to continue the scheduling process the email. Step: 8 The message will have been scheduled. To view all e-mails that you have programmed with this tool, click on the icon of a boomerang that has appeared on the top right of the screen (including your name and configuration squares). Step: 9 In the drop-down menu, select “Manage scheduled messages”. a new tab with all the information opens. Step: 10 That’s it guys. If you are not yet a user of GMail we recommend that you register and create an account here. 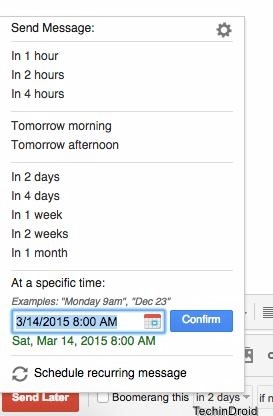 You can also schedule recurring email in gmail we have attached a video below. 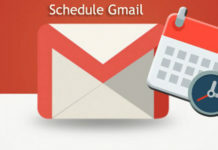 Another best email scheduler for gmail Right Inbox (chrome addon) . Its very popular and has improved greatly in recent years. By installing Right Inbox automatically a series of buttons will be added to the composition window emails in GMail. You can easily use this addon: When you are done composing your message instead of pressing the Send button, find the “Send Later” to Schedule an Email in Gmail. There we have a whole series of moments to schedule emails in GMail: send within one hour, one day, weeks … and it is best that is fully customizable. You can choose the date and exact time we want. Will automatically email to drafts but, At the time will be sent. Right Inbox is also interesting because it integrates two functions. Firstly the email reminders , which reminds you when you indicate what emails and conversations, very useful for not lose track. 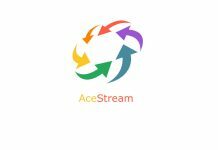 On the other hand, recurring emails so you can program the automatic sending of emails, for example, once a month at X hour each week and others. 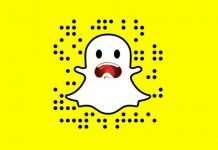 I hope this guide help you with schedule an email in gmail easily for free. 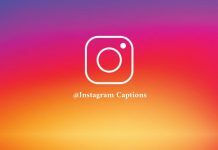 Don’t forget to share this article with your friends. You can also use Chrome extension Deskun, it’s free.